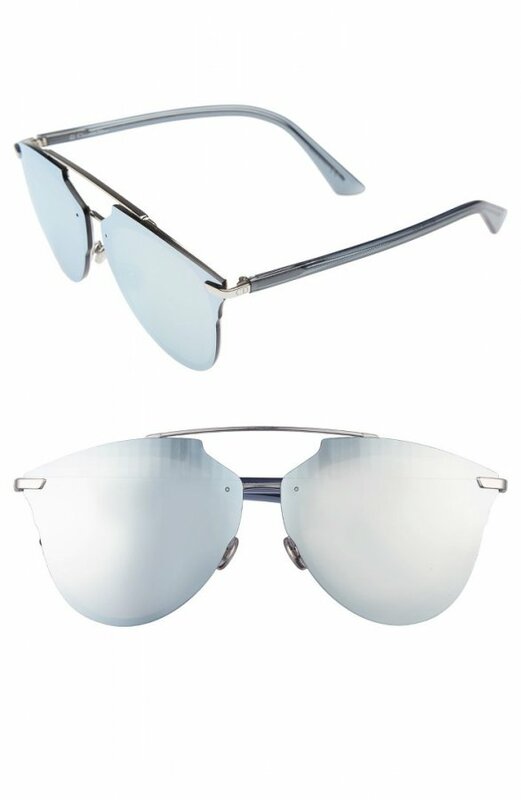 Enameled half-frame accents punctuate the cool, rounded silhouette of gradient-lens sunglasses with UV400 protection. 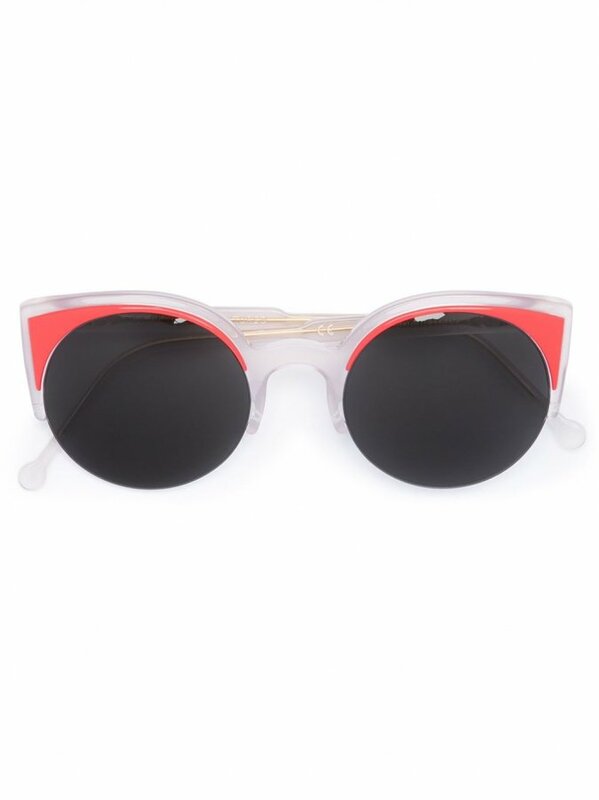 Red acetate 'Lucia Surface Coral' sunglasses from Retrosuperfuture. This item comes with a protective case. 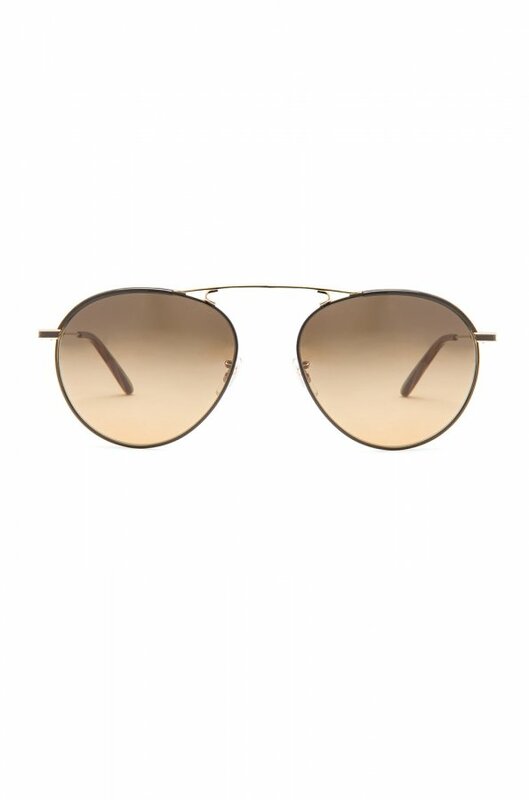 These round sunglasses with rose gold mirrored lenses are truly eye-catching. 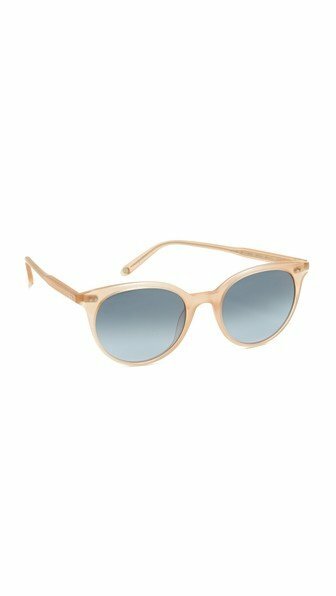 In rosegold-tone metal. 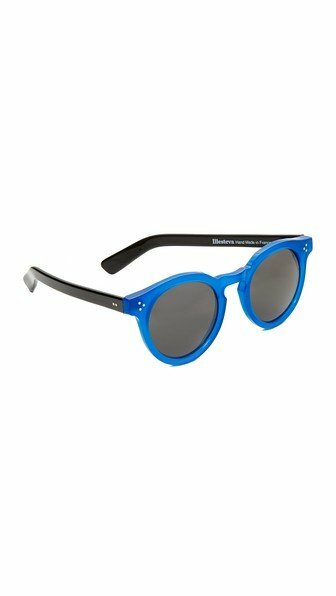 100% UV protection. Made in Italy. 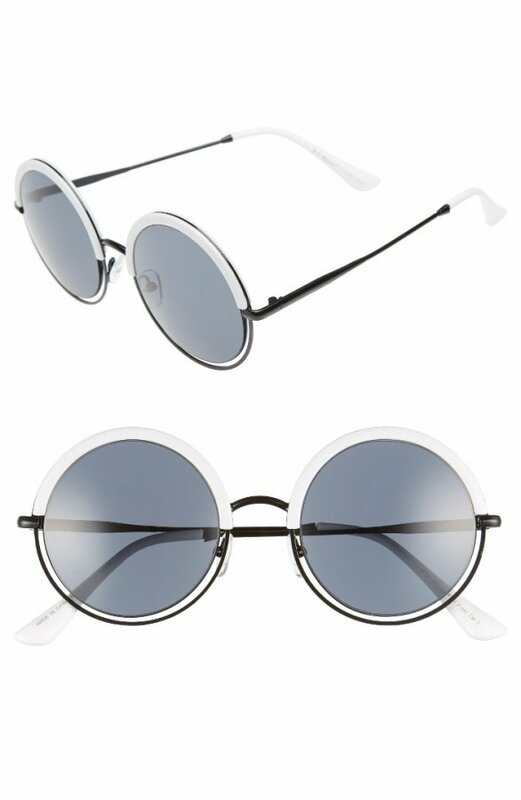 Split frames have polished metal bottoms and round uppers. 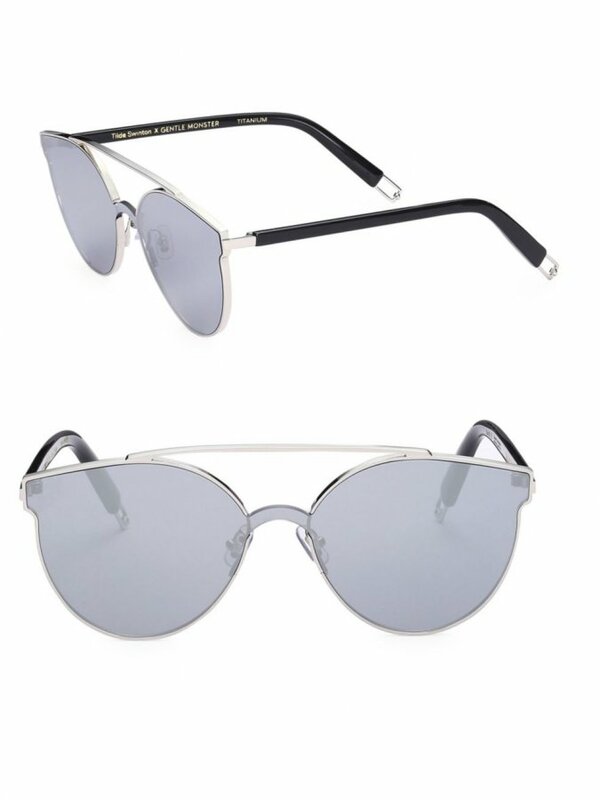 Non-polarized lenses. Keyhole bridge. Measures: 49-21-145. In brown. Imported. 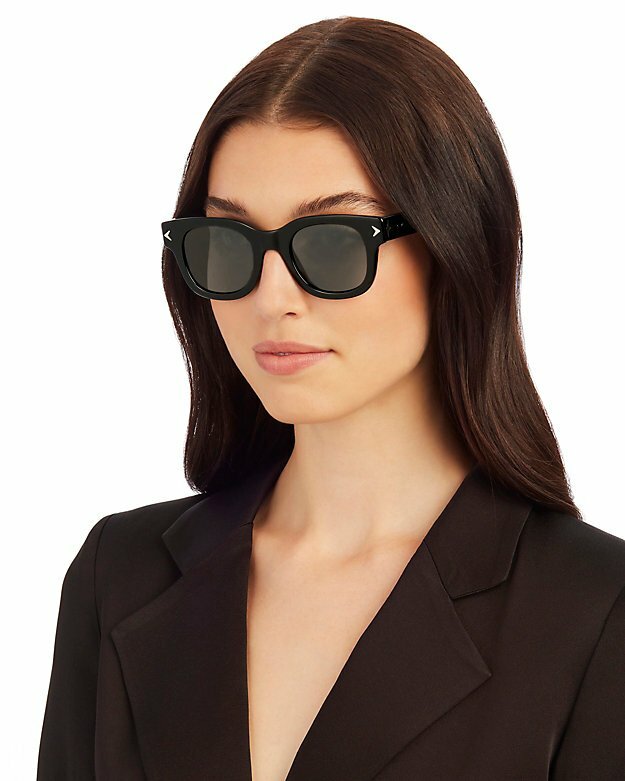 Chic wayfarer sunglasses in sophisticated black with polished logo at the temples. Logo inlays on both arms. 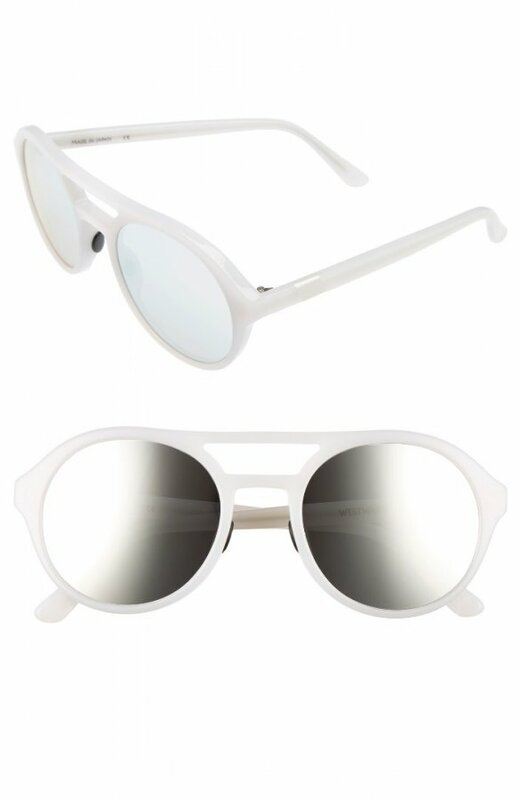 100% UV protection. Measures: 43-23-150. In black. Imported. 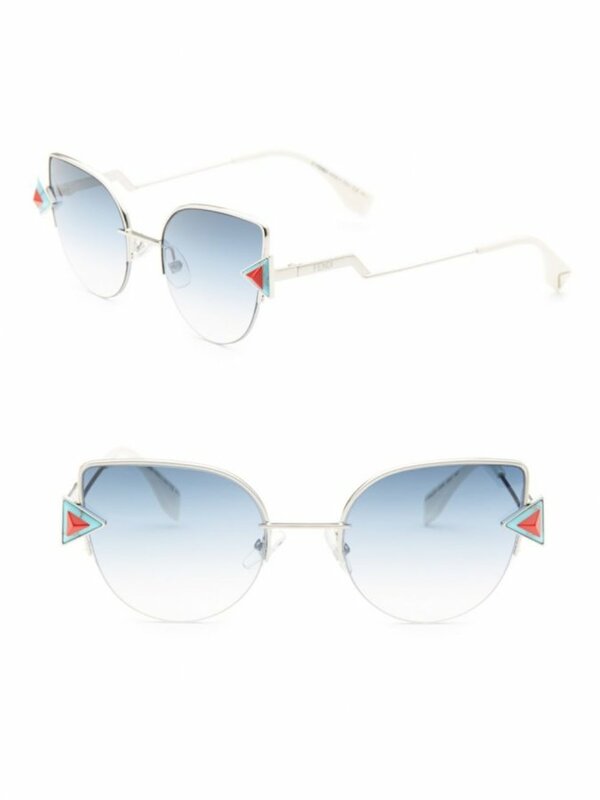 A little retro and superchic, these Italian-crafted sunglasses feature a distinctive geometric topline and cool reflective lenses. 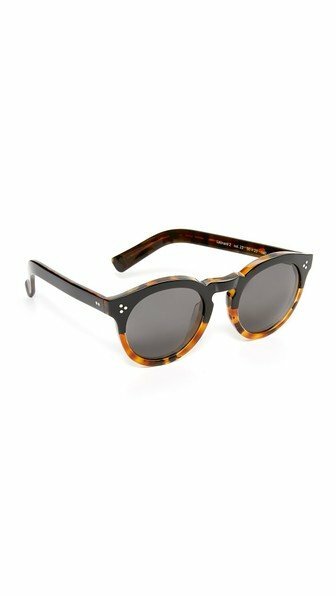 Free shipping and returns at Nordstrom. 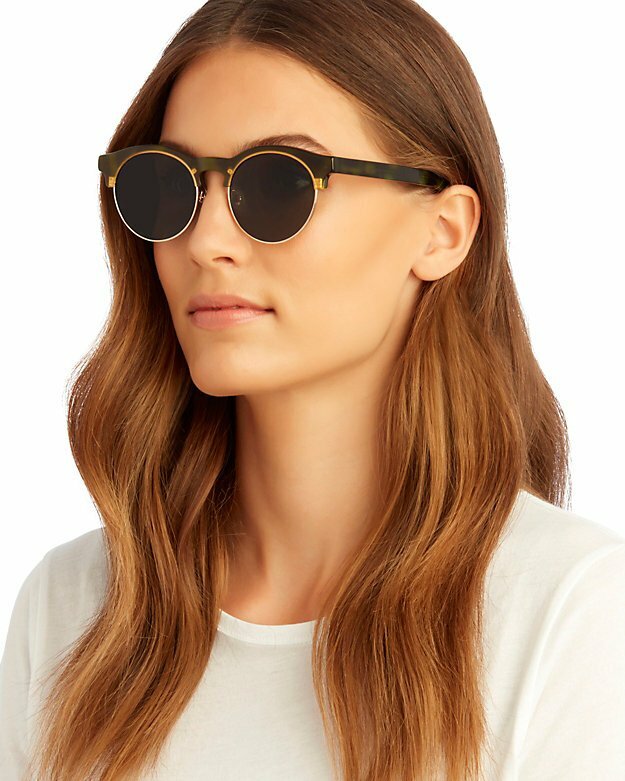 Hand-inlaid details at the temples, a smart keyhole bridge and feather-light frames set these sleek sunglasses apart.54mm lens width; 23mm bridge width; 145mm temple length. 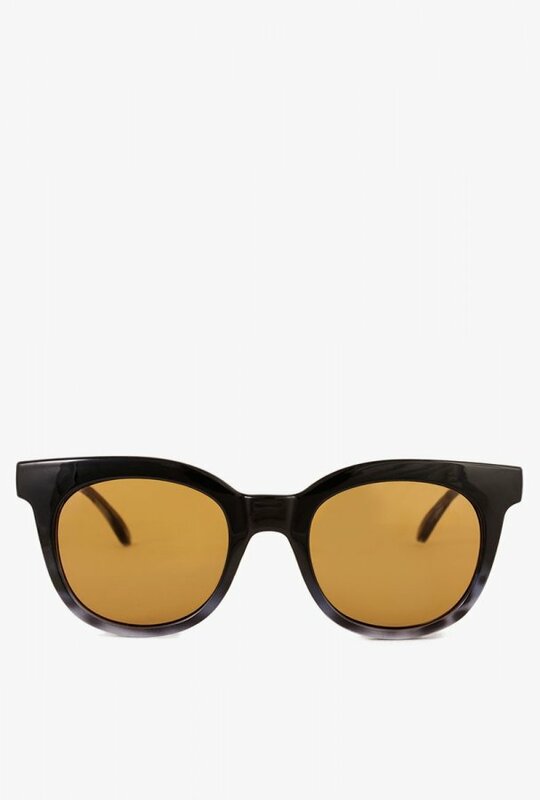 100% UV protection. 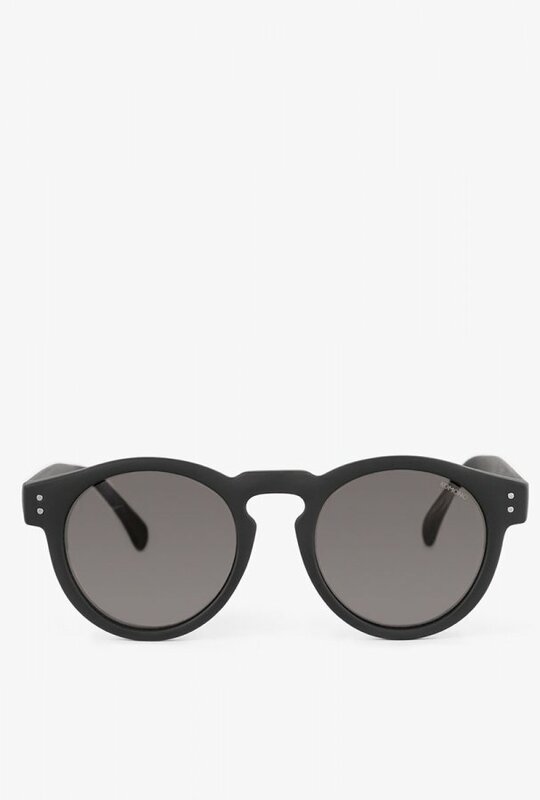 Acetate. Made in Japan. 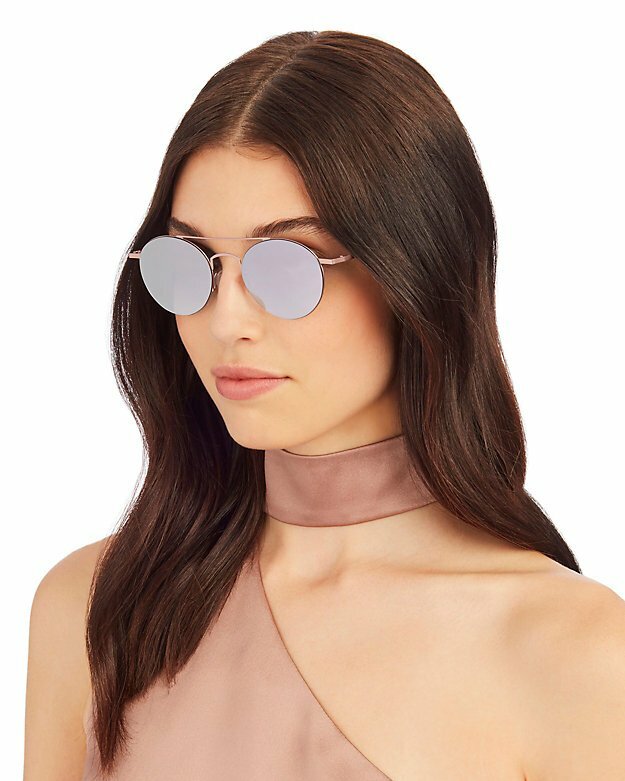 Free shipping and returns Nordstrom. 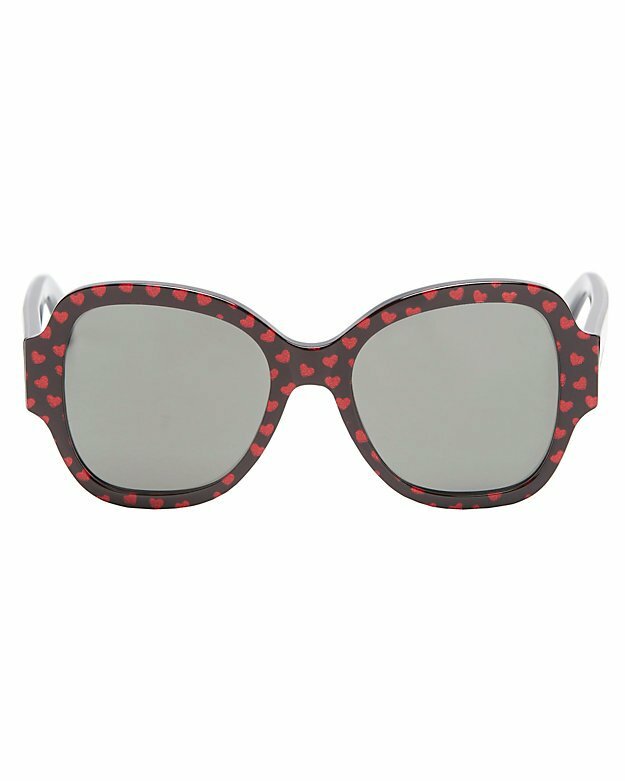 Heart-print acetate sunglasses are something to lust over. Oversized semi round shape. 100% UV protection. 53mm-19mm-140mm. In black/red. Made in Italy. Sign up to get daily style collections and deals.